Hosted By TravelPerks Owners Gary and Theresa! 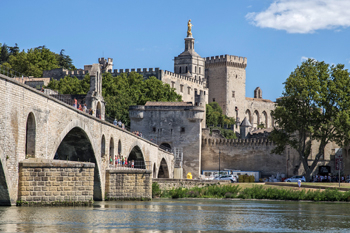 Welcome to this exclusively customized exploration of France and the Rhone river. This trip is one-of-a-kind, and is exclusive to TravelPerks. You’ll travel with experienced TravelPerks hosts who have curated the very best experiences and partnered with engaging guides where you will see breathtaking locations. Along the way you’ll enjoy wonderfully planned activities like extra wine tastings with a certified wine judge, and have the chance to customize your trip with many additional and optional excursions that are included at no extra cost. 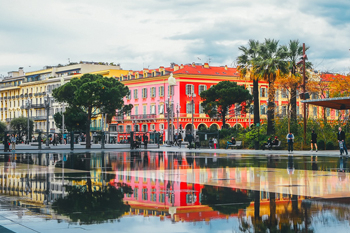 Admire the lovely scenery of the French countryside, join a culinary walk to discover architecture and local specialties, take a cooking class in Lyon, bike through a nature reserve to spot flamingos, take a painting workshop, or just relax and enjoy. 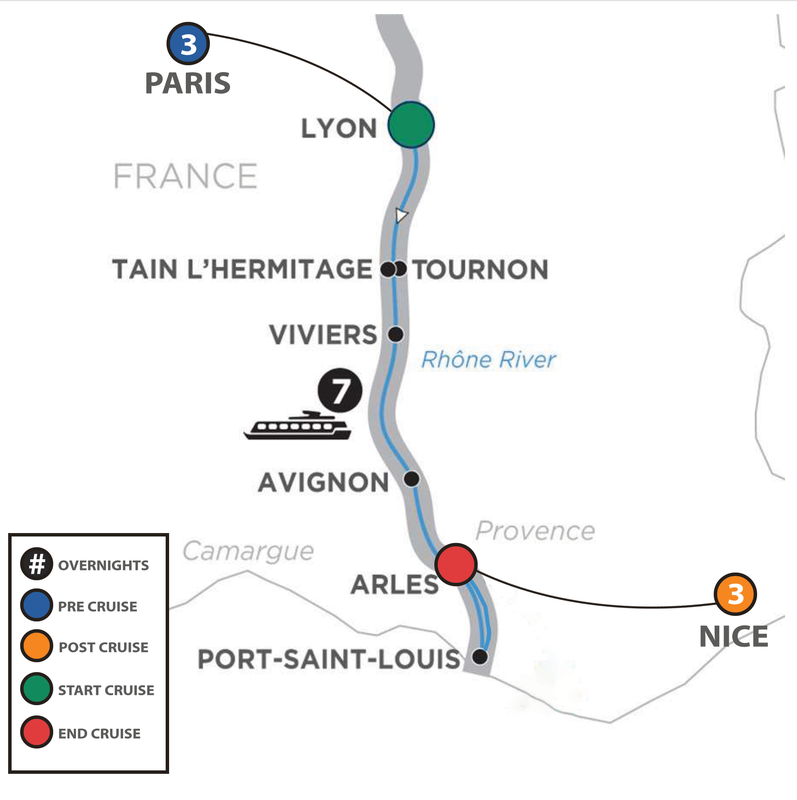 The base trip is a seven-night cruise on the Rhone River from Lyon to Arles onboard Avalon Waterways’ Poetry II. 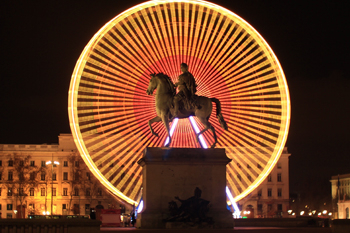 Extend your trip and start in Paris for three nights, and/or end your trip in Nice for three nights. Your TravelPerks hosts have taken care of all the details, even your tips are 100% included in the price! Over $1,150 in Savings with TravelPerks Extra Perks! We’re More Than Cruising, We’re Wine Cruising with Lots of Additional Extras for Each Guest! Call 541-349-0036 x 201 for more information! Scott Montgomery is a graduate of the American Wine Society’s Wine Judge Certification Program, an Italian Wine Specialist and he will be joining us for two wine tastings on the ship. He’ll also be around to discuss wine the entire cruise and will join us on some of the wine excursion. He has judged at numerous international, national, regional and state wine competitions. Scott has won numerous medals for his own homemade wines over the last thirty years. Scott is also a big fan of the wines (red, white and rose’) of southern France and the Rhone Valley in particular. A third-generation Oregonian, Scott and his wife now reside in Birmingham, Alabama. Cruise only starting in Lyon, France: We recommend that you arrive in Lyon before 2 PM on embarkation day, or book an extra night prior to your cruise embarkation date to avoid potential missed connections to your cruise. Guests must be onboard by 5 PM.